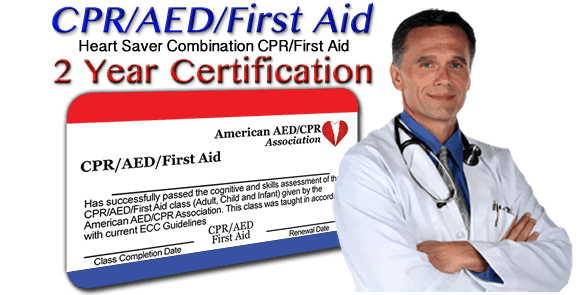 Using an AED on a child is the same as on an adult, with only a few minor differences. Do not turn on the AED until AFTER 5 cycles of CPR to the victim. This will ensure that the victim has a good supply of oxygenated blood. Use pediatric AED pads if they are available. 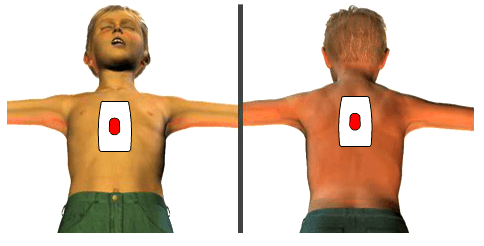 Pad placement is one pad in the front center of the chest, second pad on the victim's back between the shoulder blades.